(i) Lakshmi Machine Works Limited, a leading Textile Machinery Manufacturer in India and one among the three in the world to produce the entire range of Spinning Machinery. 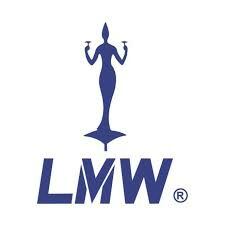 In 1962, LMW was founded to provide Indian textile mills with the latest Spinning Technology. It caters to the domestic market as well as exports products to the Asian and Oceanic regions. (ii) LMW diversified into CNC Machine Tools and is a brand leader in manufacturing customized products. LMW Foundry makes Precision Castings for industries world over. LMW has added the Advanced Technology Centre to manufacture components for the Aerospace Industry. The Board of Directors of the Company Approved the proposal to Buyback of not exceeding 2,66,666 Equity shares at a price of Rs.6000 (Rupees Six Thousand Rupees only) per equity share (the “Buyback Offer Price”) of face value Rs.10 each, payable in cash for an aggregate consideration not exceeding Rs.160 crores. In this method of share Buyback, the company will be purchasing stocks from existing shareholders of the company directly from the market. Example: “Lakshmi Machine Works Limited” announces buyback plan of its shares up to value of Rs.6000, it means that the company will be purchasing shares of "Lakshmi Machine Works Limited" from the open market at a price not exceeding Rs.6000 per share. Scenario 1- If the share price is below Rs. 6000, in that case, the company will put buy order at Current Market Price and purchase shares. Scenario 2- If the share price is above Rs. 6000, in that case, the company will put buy order at Rs. 6000 only and if someone is ready to sell at Rs.6000 or less then only company will get back shares. Lakshmi Machine Works Limited Buyback is an Open Market BuyBack In this method of share buyback, the company buys its own stocks from the market. This transaction happens through the company’s brokers. This repurchase program happens for an extended period of time as a large block of shares needs to be bought. The company is under no obligation to conduct the repurchase program after the announcement. The company has the option to cancel it. Also, it can make changes in the repurchase program according to company’s situations and needs. If this method is effectively implemented, it can prove to be very cost effective. We wish to inform you that the Company has completed the Buyback of equity shares from the shareholders Cif the Company excluding promoters, promoter group, persons acting in concert and persons who are in control of the Company, payable in cash via the “open market” route through the stock exchanges, in accordance with the applicable laws including Sections 68, 69 and 70, and other applicable provisions of the Companies Act, 2013, as amended, and the Buy-back Regulations. With respect to the Buy-back, in accordance with the Regulation 24(vi) of the Buy-back Regulations, the public advertisement regarding completion of the Buy-back C’Public Advertisement”) was published on January 3, 2019 in Business Standard (English national daily). Company fundamentals are very good for long term investment.But price is very high.